Join us for a dinner discussion with Mr. Marco Lopez who will be discussing the U.S. - Mexico Geopolitical Forecast for 2018 - 2019. 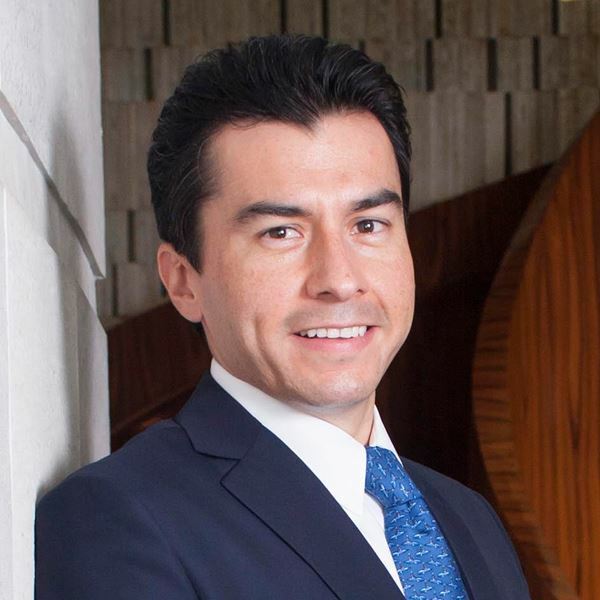 Marco A. López, Jr. serves as the CEO of Intermestic Partners, a premier government affairs and corporate strategy firm that provides strategic business development, market access and policy counsel to both international and domestic organizations. Marco also serves as a Founding Partner in Skybridge Arizona, the country’s first air cargo hub housing joint United States-Mexico customs. Mexico Presidential Election 2018 - How will Lopez Obrador’s largest landslide victory impact U.S. - Mexico relations? Marco Lopez is a member of the Council on Foreign Relations and serves as Senior Advisor to the Chairman of Grupo Carso and The Carlos Slim Foundation, and has served as U.S. advisor to presidential campaigns in Latin America on topics of national security, border trade and commerce, and economic development. Prior to founding Intermestic Partners, Marco was Chief of Staff at the United States Department of Homeland Security (DHS), Customs and Border Protection (CBP), managing an organization with a $12 billion budget and 60,000 employees. While at CBP, Marco was instrumental in developing key international partnerships that strengthened security while ensuring the efficient movement of people and goods into the United States. He counseled the Secretary of Homeland Security and the Commissioner of CBP on the implementation of new technologies, human resources, and infrastructure to secure America’s Southwest border with Mexico. Additionally, Marco supported and facilitated negotiations with eight Latin American countries to secure regional participation in an important aviation security program credited with identifying and preventing the transit of dangerous people and cargo to the Western Hemisphere. Marco worked with cabinet officials throughout the world including in Mexico, Canada, Panama, Costa Rica, Nicaragua, Honduras, El Salvador, Guatemala, Belize, Chile, South Korea, Egypt, Turkey, the United Arab Emirates, and Qatar. Before joining DHS, Marco served as the Director of the Arizona Department of Commerce. In Arizona, he served in various capacities including Senior Advisor to the Governor, Vice-Chair of the Arizona-Mexico Commission and Policy Advisor for Mexico and Latin America. Additionally, Marco was the Executive Director of the Arizona-Mexico Commission. During his time at the Governor’s Office, Marco played a vital role in policy development regarding immigration, border security, and trade. As part of his key responsibilities, Marco established relationships between the State of Arizona and foreign governments and leaders. Marco has an accomplished public sector career: at the age of 22, he became one of the youngest mayors in the United States, elected into office at Arizona's largest border community of Nogales, Arizona shortly after graduating from the University of Arizona. He was re-elected by an overwhelming majority of the vote in 2002, one year before being tapped by then governor Janet Napolitano to serve at the Arizona State Capital.